GRAHAM Arnold has some tough decisions to make for Australia’s quarter-final clash at the 2019 AFC Asian Cup. With star playmaker Tom Rogic out suspended, the Socceroos boss may look to tinker with a formation that has struggled to unlock stubborn defences. Some pundits have suggested that Jackson Irvine could move forward to play behind the strikers, but that would leave a big hole in the Aussie engine room. The more likely scenario is that Arnold will opt for two strikers – a system he deployed with no little success during his time in charge of Sydney FC in the A-League. That would see Apostolos Giannou join Jamie Maclaren up top after a string of effective displays off the bench. Priority one for the Socceroos is getting on the score sheet, which they failed to do in 120 minutes against Uzbekistan. 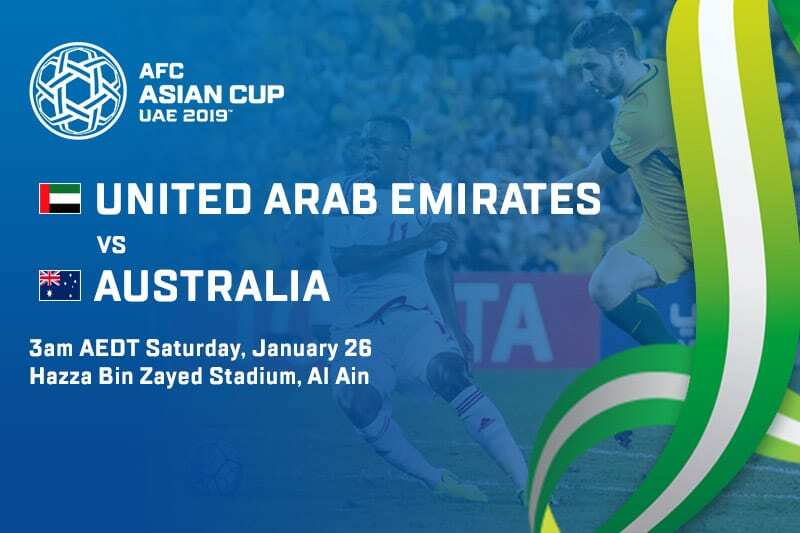 In the other camp, this is a different kind of test for a United Arab Emirates side that has yet to face any of the competition’s heavy hitters. Kyrgyzstan gave them a scare in the round of 16, but Ahmed Khalil’s strike in added extra time was enough to secure a 3-2 win and a place in the last eight. The hosts will have to tackle the reigning champions without veteran defender Khalifa Mubarak, who is out of the tournament after suffering a leg fracture while clearing a shot off the line. This round of matches sees the video assistant referee (VAR) come into effect for the first time in Asian Cup history. As the only Socceroo to score in multiple games, Mabil looms as the biggest threat in a side that has struggled to score against well-organised defensive units. The Al Jazira forward scored seven goals in the UAE’s 2018 World Cup qualifying campaign and has already beaten the keeper three times in this tournament. Should the Aussies be favourites? Some would say they were lucky to get out of the group, let alone reach the last eight. Injury has robbed the Socceroos of several star players and Rogic’s suspension does not help. They are also pitted against the hosts, who will have all the support in the stands at the Hazza Bin Zayed. That said, Arnold’s men have shown a certain nuggety resilience and look prepared to do things the hard way if necessary. There is also the small matter of head-to-head records. Australia have never lost to the UAE, who have failed to trouble the scorers in all four of those meetings. Keep it simple and back the defending champs to reach the semis.